It is not always easy to pedal your way to work or school, especially if it's a good distance away. That is why Cyclamatic built a bicycle that you wouldn’t have to work so hard to ride and enjoy. The question is, “Does it really work as well as you may hope?” To answer this question, you need to read our Cyclamatic bicycle electric foldaway bike review. This bicycle is powered by a fully sealed, lithium-ion battery. With a single charge, you can go approximately 30 miles without using any personal power. However, the benefit to this battery-powered bike is that if you want to use your own pedaling power, you can turn the motor off and use it like a traditional bike. If you want to pedal, but desire more speed, you can also set it to "assist mode", which makes each pedal motion more productive and faster with less effort. The Cyclamatic folds in half to make it easy to store when not in use. It folds at a mid-point area on the cross bar using a quick lock release system. It takes you only 5 minutes to fold it down and set it back up so that it is ready to go again. It has a polished aluminum frame to ensure it is lightweight. This light frame and a brushed motor allows you to travel at a maximum speed of 13 mph. The motor is very low maintenance ensuring that you can expect a long life. 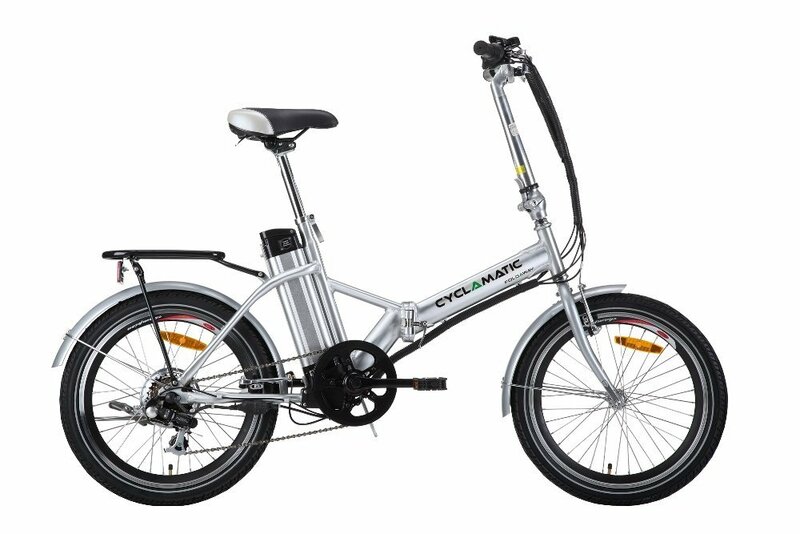 If you can balance yourself on a traditional style bike, you can enjoy riding this electric bicycle. It is also made easier by the twist-shift accelerator and thumb shift 6 speed Shimano gears. The Cyclamatic bicycle has a spring loaded kickstand, a luggage rack, bell, and reflectors. It has a 12-month warranty against any manufacturing defects or workmanship. This warranty covers the battery, controller, motor, and more. This bike weighs 51 pounds when the battery is in place. The Cyclamatic is a full sized bike that is ideal for most adult riders. This bicycle has an average rating of 4.4 stars. This is fairly impressive compared to other battery-powered transportation devices. Most owners use it for commuting and say that when it first arrives, it will take you approximately 30 minutes to assemble. They are average sized adults and most state that it can reach 16 miles per hour on a straight road and closer to 20 mph when they are going downhill. This is faster than the bike specs state. Most owners admit that at first, the brakes may squeak and the gears may be very tight. However, after using it for a little while, everything adjusts itself so that the squeaks and tightness go away. There are some owners who have had it for a couple years already and they still love it. The one major negative review states that they are not able to find replacement parts in local areas. Is The Cyclamatic Electric Bicycle Worth It? One common complaint about electric skateboards is that they travel too slow for some of the more skilled skateboarders. 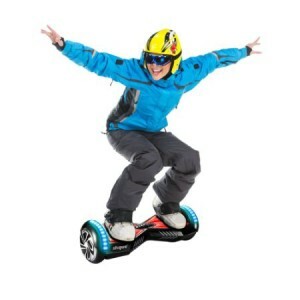 Therefore, Munkyboards is popular among those who want to be able to do more with their skateboard. Do you really need to go as fast as possible and if so, is it worth paying more for? 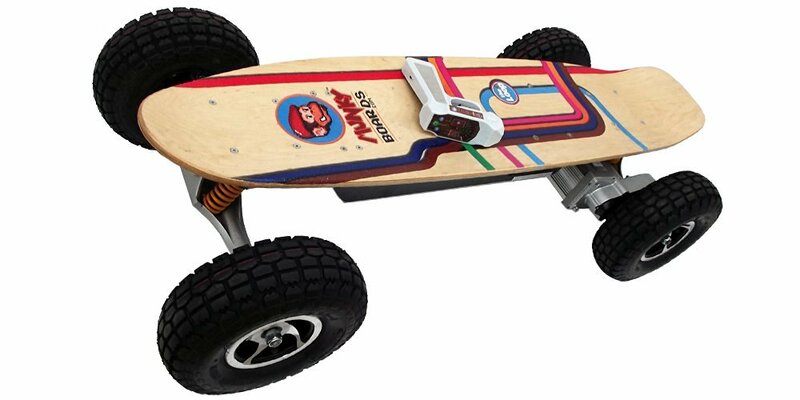 Read our Munk﻿﻿yboards 120﻿0W remote control electric skateboard review to find out. This is a top quality skateboard that provides top performance. 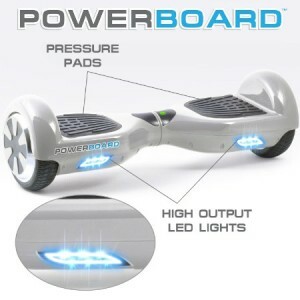 Both of which are proven by the fact that it is a skateboard with 1200W of power backing its brushless motor. The battery is a 36V Lithium Ion 15Ah. This skateboard can travel for up to 16 miles on a single full battery charge. This is much further than the average electric skateboard. It also means that for up to 70 minutes, you can be riding along at 28 mph. This is extreme speed compared to other boards that are electric. As an added bonus, the charging time is only 4-6 hours. The wheels are made of all terrain rubber. The solid wood board is made of Canadian Maple. The board is operated using the included Bluetooth remote control. 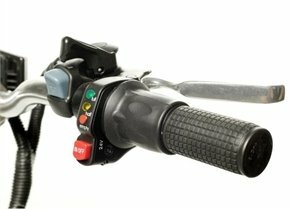 This remote can be used to start out slow at only 9-12mph and increase your speed as you increase your riding skills. There are only two speed choices. The remote also has a built in LED flashlight. It shows the speed you are traveling and a battery life indicator on it as well. 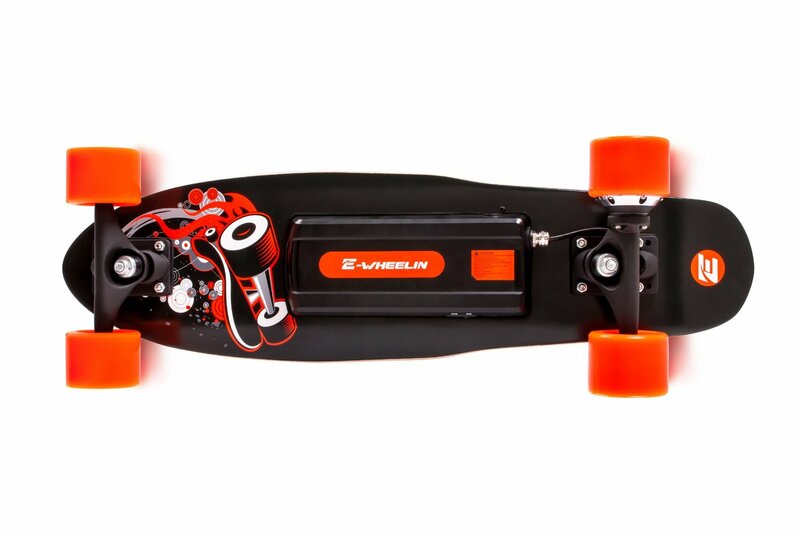 This board is heavier than most other electric skateboards. It weighs 51.5 pounds. It measures 19.7 x 44.5 x 9.4 inches. It can hold a rider who weighs as much as 275 pounds. There is only one color choice available, but the graphics look great. The manufacturer guarantees that when you take this skateboard on your commute to work, school, or play that everyone who sees it with you will know that you are a devoted skateboarder and that you have a quality board to prove it. This skateboard is made in the USA and it is only shipped to areas within the USA. International shipping is not available at this time. Munkyboards offer a standard warranty to protect buyers from any defect within the workmanship and material for the first 90 days after purchase. If you discover a defect and it requires replacement parts, Munkyboards will cover the complete cost of the part and the shipment. Due to the maximum speed of this skateboard, it is recommended that you wear proper safety gear at all times to protect yourself. Even if you are a skilled skateboarder, to neglect safety equipment could be extremely bad. 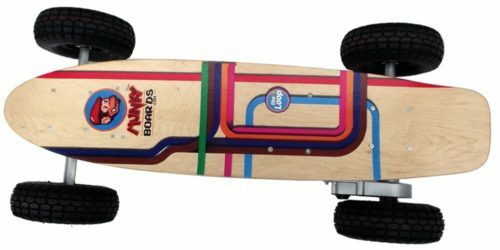 Are Owners Happy with the Munkyboards Skateboard? This skateboard has an average rating of 3.6 stars. Most owners give it a high rating, but they do say that it is a large board. Owners say that safe riding is the key. They suggest that you work up to going fast and protect yourself while you learn. Many say that at first, the second fastest speed setting scared them because it is like a sudden turbo boost in speed when you first turn it on. It is also a good idea to wear protective gear because one rider did have an issue with the clutch freezing and throwing him off. This owner still gives it a 5-star rating and he was not seriously injured, but he stresses safety must come first when you are dealing with this much speed. 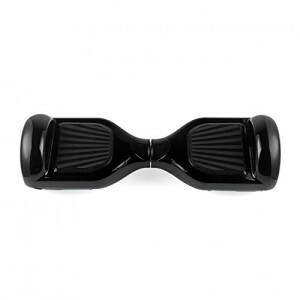 Will You Enjoy the Munkyboards Electric Skateboard? Nowadays, skateboards have reached a whole new level of fun and managed to become more useful for a larger variety of people. Just take a look at our 4UTK automatic remote control electric skateboard review to find out about these new and improved skateboards. This is a 27.2 inch professional sports skateboard. It is designed in retro fashion and ideal for anyone who wants to do tricks, but it is also a great way to get from point A to point B if you want to simply use it for commuting. You can adjust the power and speed level to match your skill and comfort level. As a beginner, you will want to start with a slower speed and then as you get the hang of it, you can speed it up to the next level. When you are a confident skateboarder, you can set it to maximum performance and truly enjoy all that it has to offer. At the professional skill level, this skateboard can travel up to 9mph, thanks to its 400W motor. The 4UTK comes with an ergonomic wireless handheld remote control. This is what gives you the power to set it on the beginner level or the faster professional level. 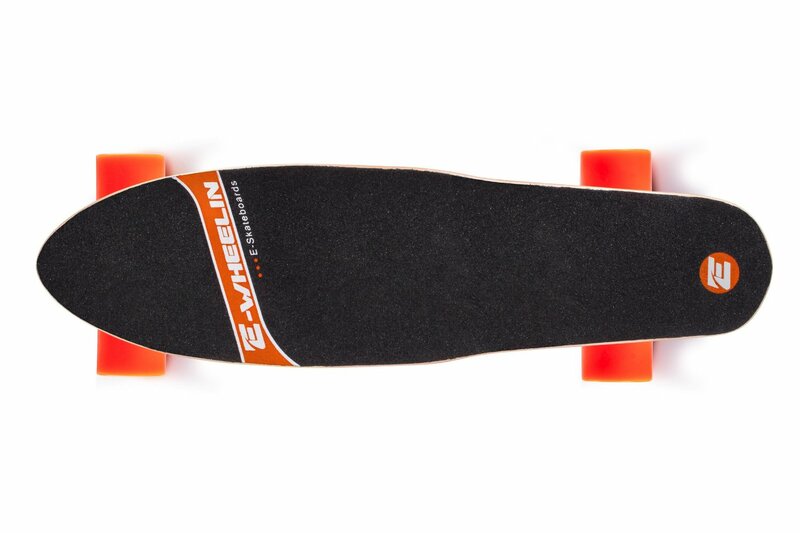 Even though this skateboard is electric, it is still lightweight at 7.7 pounds. However, it can support up to a 220-pound rider. Its dimensions are 27.6 x 4.5 x 8.7 inches. The wheels of this skateboard are PU wheels. They measure 70mm and promise to be durable enough to keep up with whatever you want to do. In order to help you track of the remaining battery life, there is a set of indicator lights present. These lights are located near the battery. When you have a full charge, you will see 5 lights and as the battery charge drops, the lights will as well. What Do Owners Say About the 4UTK? 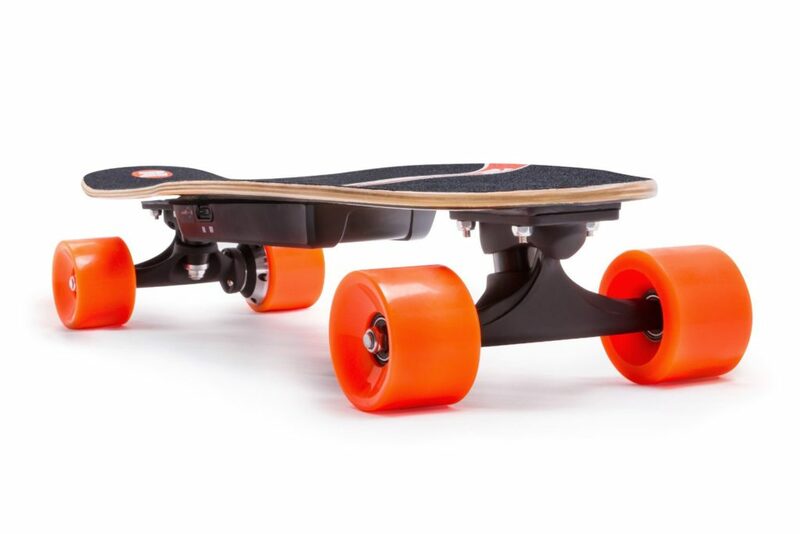 On average, this electric skateboard boasts a 4-star rating. Most reviewers state that it is a good skateboard to own. They like the speed when turned to max power and say that it can carve for miles. 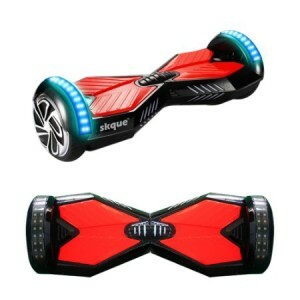 Most like the l﻿ower price point, as it is half the price of some other boards of the same quality. The vast majority of people love it. The few reviewers that give it a low star rating, do so, not because of the quality, but because of issues with shipping or availability. For instance, one person gave it a one-star rating because it would be delivered later than expected. This is not a fault of the board itself. Is the 4UTK Electric Skateboard a Good Buy? Not many scooters travel as quickly as some people may like. That is why we decided to review the Black Super Turbo. It promises to go faster than most all other scooters, but the question on every potential buyer’s mind is whether it can or not. Read our BlackSUP800-2 Super Turbo review to find out. This is an electric s﻿﻿cooter that runs off a powerful 36-volt battery pack. 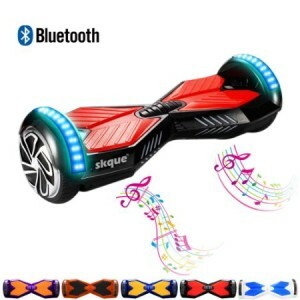 This means that it has a larger battery than most rechargeable scooters. It is a deep cell lead acid battery, which gives you a longer run time. This scooter can travel up to 18 miles on a single charge! The battery powers a 1000-watt motor which spins at 3000rpms. With this motor it can reach speeds of up to 26mph and this is with a full grown man who weighs around 200 pounds sitting on it. 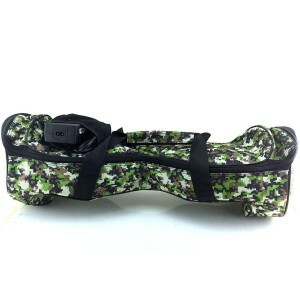 It is lightweight which ensures that it is easy to carry along when you are not in a place that allows for riding. Also included with the purchase of the Black Super Turbo a warranty covers you completely for the first 90 days after purchase. After that, you have a 1-year warranty on the motor. You can only return the scooter for the first 7 days after purchase and it must be in unused condition. The frame is made of pure steel which makes for one of the most durable scooters. Super Cycles and Scooters (the manufacturing company), promise that it is more powerful than all other 1000w scooters. It has an LED headlight so that you do not have to hurry home before the sun goes down. The headlight is covered by a plastic shield to help prevent damage to the LED bulb. It is a very fast scooter that is unmatched in its ability to get you where you want to be, quickly. There is also something to be said for the fact that you can ride it for up to 18 miles on a single charge. Not many other scooters can compare to this range. Most owners love the power that it provides. Many say that it can travel easily over all different terrain types and more importantly, it easy to put it together when it arrives. The biggest downside to it is the fact that the rechargeable batteries are expensive if you need to replace them. However, they are easy to find since the seller also sells every part of the scooter. Another downside for some is the fact that it is bulky to carry around if you need to carry rather than ride. Even though it folds down, it is still a little large to carry. Is the BlackSUP-2 Super Turbo Worth the Money? 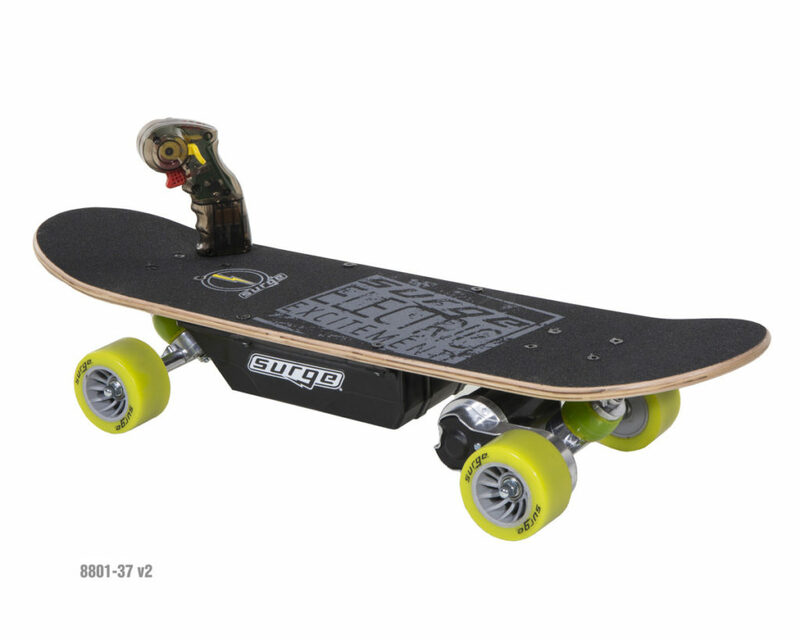 When it comes to electric skateboards, you have several options to choose from. The Dynacraft Surge is a popular, cost effective choice for anyone who wants to give an electric skateboard a try. The question is, does quality come in an affordable package? Read our Dynacraft Surge electric skateboard review to find out. This black and green skateboard can travel at speeds of up to 6 miles per hour when used on a solid road or concrete surface. This means it is not one of the fastest skateboards available, but it is still going to give you a fair amount of speed to play with. 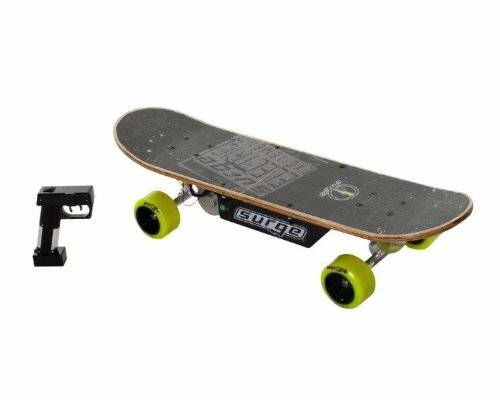 It is designed for use by kids that are at least 8 years old, which further proves that it is designed for beginner skateboarders. It can support up to 145 pounds, so it can be used by kids even as they continue to grow into adulthood. The Dynacraft comes with a remote control. With the remote, you can choose from three different levels of speed. The first speed is going to be the slowest and it is best for people who are trying to learn how to balance on their new skateboard. As your skill increases, so can the speed at which you travel. This skateboard measures 33.3 x 12.4 x 8.5 inches. It weighs in at 22 pounds. This does mean that is a little heavy compared to some of the other available electric skateboards, but it is not unmanageable. There is a warranty included by the manufacturer. It is a 1-year limited warranty for defects with the board and a 6-month limited warranty on the battery. However, the limited warranty does not cover damages that come from normal wear and tear, abuse, neglect, alteration, and other things that are not an issue with the workmanship. 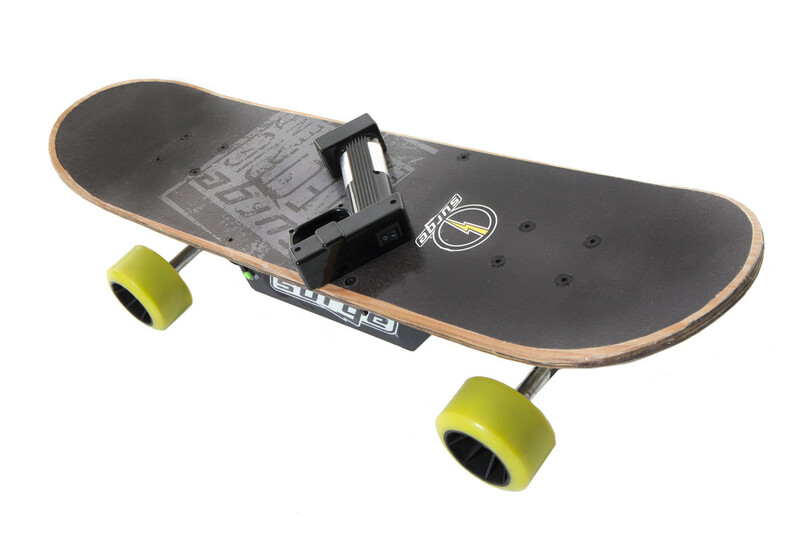 The skateboard comes with a 24V rechargeable battery. There is an onboard on/off switch to help you conserve the battery when it is not in use. If you use the switch and only leave it on when you are using it, you should be able to travel for 5-8 miles on a single charge, depending on your weight and the area you are skateboarding in. This skateboard holds an average rating of 4.3-stars. Most owners give it a 5-star rating. 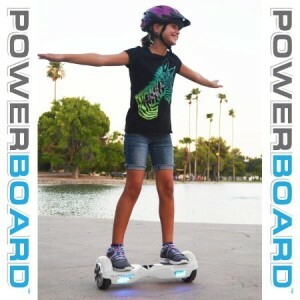 The biggest thing you have to keep in mind about this board is that it is designed to be user-friendly for children that are just learning how to skateboard with an electric skateboard. Most owners are parents or grandparents that purchased it for a child that wanted one. They say that it performs exactly as it was stated and that the child in their family loves riding on it. Most of the negative reviews for it stem from the fact that it is a slow board. This is stated clearly and if they had read the reviews, they would have known that before they purchased it. It is also clearly stated that people who are over 145 pounds should not try to ride it. Therefore, if you weigh more than that, you will want to choose a different board. The more you weigh, the slower it will go with you on it. Is the Dynacraft Surge Worth Buying? Glide to the future at an affordable price. The EROVER Smart Electric Scooter is one of the most affordable self balancing scooters out in the market today. It is the most purchased and most reviewed smart electric scooter by different YouTube channels. Manufactured in China, this scooter should not be mistaken to be of less quality, but should be taken as the door which opened the future for personal transport system. Let’s take a look at how our review team saw viewed the EROVER as positive or negative this two wheel electric skateboard. Why Buy the eRover Smart Electric Scooter? Affordability – This is the top reason why a lot of people have bought this smart drifting scooter. The eRover is the most affordable scooter in the market. Charging time – It only takes 2 hours to get a full charge. A fully charged battery can take you up to 30 miles or even more if not used at high speeds. That gives you about 3 or 4 days if you do not use it more than 3 hours a day. Easy to ride – Learning to ride it is easier than you think. Even an 8 year old will easily learn how to ride it without reading the manual. It gives you that effortless ride. Smooth and stable ride – It gives you a good, stable and smooth ride both at low speeds and at high speeds. The engine is quiet enough not to produce annoying sounds. Responsive Controls – the controls are responsive and easy to learn. Although at first, it might be hard to control the device, but once you get the hang of it, drifting in style is going to be a breeze. Overall Build – The overall build is great. The technology and functionality gives you the feel of the future right in your feet. Warranty – Although this is made in China, it comes with a warranty which is a good sign that it can be replaced if it breaks down, no questions asked. Warranty can also be extended to 2 years which is a great indicator that you can trust the manufacturer/distributor and further protect your personal drift toy. 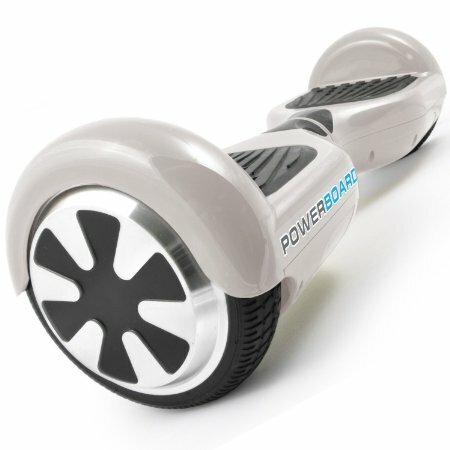 Cons Of The EROVER Smart Drifting Scooter? Style – The style is just ordinary. It looks good with a first few glances but if you have seen other self balancing scooters, this can be ordinary in the design department aspect. The design team should have spent more time making it look more futuristic. But with its rock bottom price, you can’t expect to get flawless stylistic and futuristic design. Speed – It can reach 10 mph which is already a good speed. But there are other self balancing scooters which can reach up to 13 or 14 mph speed. Heavy – It’s a bit heavy. It weighs about 25 lbs which means that it is going to be a burden to carry if you run out of charge in the middle of nowhere. May get lots of scratches – With other owners having their first few rides, the scooter almost instantly got scratched. If you jump away from the device while it is moving, it will roll on the pavement which will get the top part that protects the wheel instantly scratched. A lot of the users have taped that top part to avoid it scratches. Other brands have a protective strip already installed. Questionable toughness – A lot of users have been doing tricks and stunts on 2 wheeled scooters and it could have been more appealing if it is tougher than it looks. Some online reviews posted broke the device in just a few minutes after use. Are you looking for the latest craze that many have been talking about? It’s neither the latest phone nor the latest tablet. It’s neither the fastest laptop nor car. 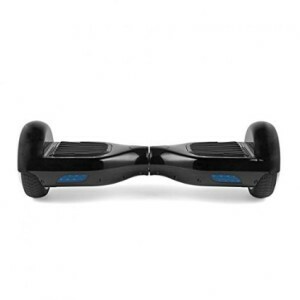 It’s the most reviewed top selling one wheeled self balancing scooter from Ninebot. Ninebot OneE+ is a fashionable self balancing one wheeled scooter. It has an interactive function which allows the user to hover in style. This personal transportation tool only has one wheel and lets you drive it around up to about 35 kilometres (or 21 miles). The maximum speed of this unicycle can go up to 22 kilometres/hour (12-13 miles/hour) according to the manual. 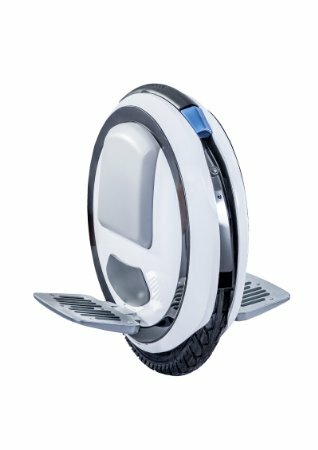 Why buy the Ninebot One E+ Single Wheel Scooter? Stylish – Futuristic Design. We think that this is way ahead of its time in terms of the design and feature. Even compared to the 2 wheeled gyroscopic electric scooter, this is definitely years ahead in design. Speed – The speed is also top notch. It can go up to 22km/hour which is not just as fast as a trained jogger running on a good day but a fast sprinter running for the gold medal. The usual jogging speed is about 9 – 14km/hr. This one wheel electric unicycle can go twice as fast as a normal jogger. Compared to the fastest 2 wheel self balancing scooter, this is at least 5 km/hr faster. You have to be a pro or at least wear protective gear to ride this unicycle at continuous top speed. It is constant at high speeds with no issues at all. Climbing Level at 20 degrees – This scooter can climb! Although it uses more battery power climbing steep roads, there is no doubt that it can sustain its climbing power even at 20 degrees. This is a great feature of the Ninebot One E+ because most self balancing scooters are ideal only for roads up to 15 degrees tilt. Testers have even tried it at greater slopes and it still can climb steeper roads. Overall Build – It’s the best build unicycle scooter on the market today. It doesn’t just looks sturdy but feels sturdy as well. It comes in white which really looks good on the device. Although it is not scratch resistant, it is tough and cannot easily be damaged. The pedals are definitely more superior compared to other models which can even endure wet weather. Responsive Controls – The gyroscopic controls are very responsive and are intuitive to normal movement. Once you get the hang of riding it, it is very manoeuvrable, even much more manoeuvrable than the 2 wheeled scooter. Gives you a quiet smooth ride – Compared to the Airwheel, this Ninebot is much quieter especially at high speed. It will only beep when you reach top speed. It is definitely much quieter than other electric scooters. *Bonus – It comes with a training video to help you learn how to ride it with style. Why think twice about buying this Gyroscopic Electric Wheel? Charging time – it takes about 4 hours to charge as compared to other self balancing scooters which only take 2 hours to come to a full charge. Although it can run up to 35 kilometres on a full charge, just like other self balancing scooters. First ride difficulty – It will definitely not give you an easy first ride. Compared to two wheeled scooters, which you can master in less than 20 minutes, this can be more challenging to learn. Although controls are intuitive, it still is not for the faint of heart to try out. Although it is harder to learn, it is more fun and cooler than the 2 wheeled gyroscopic scooters. This amazing device is a two wheel self-balancing electric scooter that is safer and easier to learn than other electric scooters. 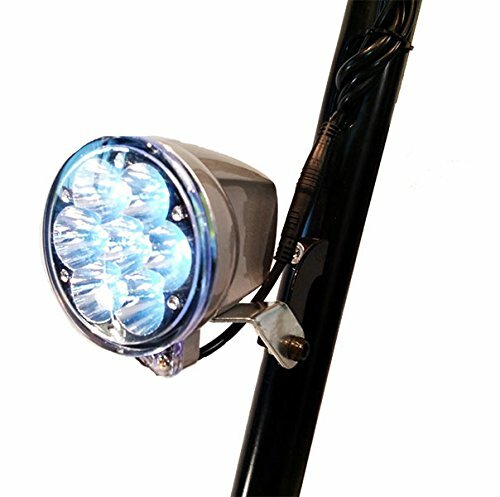 It has built in LED running lights so that you can be seen while riding at night. This is for your safety as well as others around you who may need to see that you are coming near. The operation of this scooter is controlled by a wireless remote. This means you can stand on it and turn it off or step on after you have powered it on. This remote also controls all music that you may have on your Bluetooth enabled cell phone or other devices. It can hold a maximum weight of 264 pounds, which means that most adults can ride on it. It travels at a speed of 6.2 mph thanks to its 500W motor. You can also expect for a single charge to last for an average of 11-15 miles, depending on your weight, the terrain, and how much you use your Bluetooth. Another bonus is that it will only take one to two hours to get a full charge once you have completely depleted the battery. This makes it great for running errands, traveling to work, or simply scooting around town. When you order this two wheel electric scooter, you get everything you need to get started. 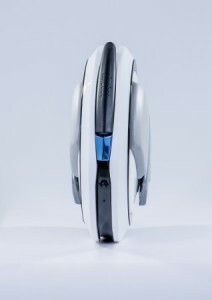 You will get the Smart Balancing Wheel, a manual wall charger, a free remote control, and more. You will also have a variety of colors to choose from so that your new scooter can fit your personality. Is the 2 Wheel Electric Scooter Easy to Use? To use this 2 wheel motorized scooter you simply push the remote to power it on. Then, you will need to step on the one foot trigger using the foot-switch. This will automatically put it into self-balancing mode. After that, you will put your other foot onto it in order to begin operating. From there, you will need to use your body weight to move the scooter forward or backward by simply leaning forward or backward. To turn, you lower one foot. The key to moving your scooter is to keep your movements gentle. You should never attempt to lurch your body toward one direction or the other because this may increase your speed too much and cause you to fall off. This is often the hardest part of learning to ride, but most people still get the hang of it within a few minutes. Why Own This Balance Board Scooter? 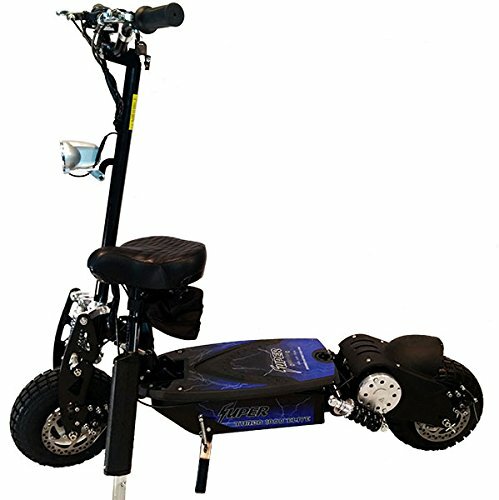 If you want to get around faster than walking, but want to challenge yourself as well, perhaps a one wheeled scooter will be exactly what you have been hoping for. It is a little rough to learn at first, but once you get to riding, the fun will not stop. However, most people are asking why the Air Wheel is a popular choice? 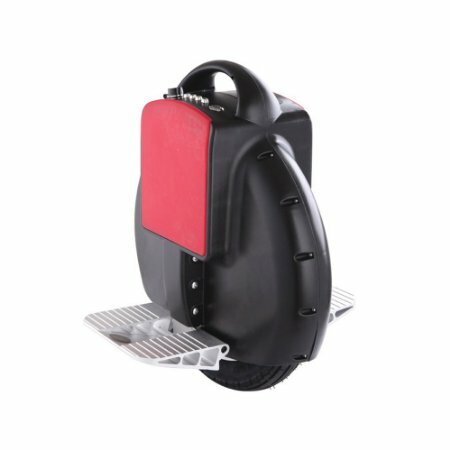 Keep reading to learn the truth behind the motorized 1 wheel electric standing scooter, as others see it. 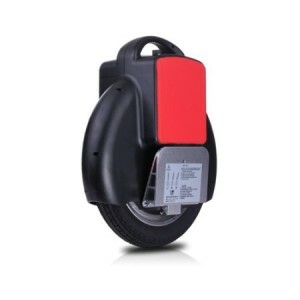 Is The Motorized Electric Standing Wheel Safe? A 1 wheel scooter is something that is a little tricky to master. 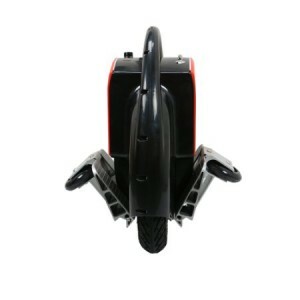 It is a single wheel with two pedals attached to it that you stand on. To move you simply need to power it on and then step onto it. To go forward, you lean toward the front of the wheel. To go backward, you lean in that direction. To turn, you simply shift your body weight from side to side. 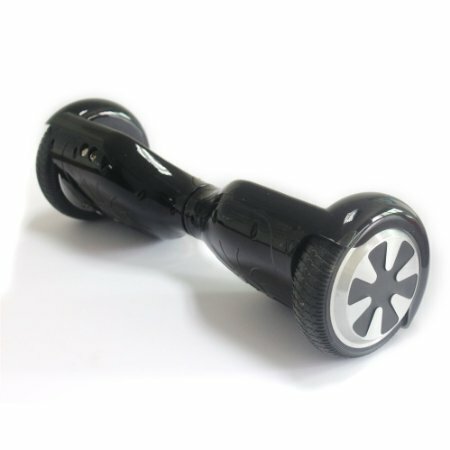 There is a safety feature built into its sensors that turn off the AirWheel X8 if it goes into any direction too far. This is to protect the rider from potential injury during a fall. When you are just starting out on this motorized wheel you are given a pair of training wheels. This is to help you learn how to keep your balance while standing on it. It is recommended by the creators and the current owners that you definitely practice first with the training wheels. Most people recommend that you keep them on for a couple weeks before you try and take it solo. However, if you do manage to get beyond the training wheels to where you are riding the motorized unicycle standing only with the one wheel, you will feel a sense of accomplishment that is unmatched by other scooters, even though the two wheeled kind operate the same way. What Makes This 1 Wheel Scooter Special? This scooter, even though it only has one wheel, can go up to 10 mph, which is about the same as other standing scooters. It has lights so that you can be seen by others. It has an LED light set that shows you how much battery you have remaining at a glance. When all 4 lights are lit, you have a fully charged battery to play with. This is a fully computerized scooter. It has sensors all over it to help you stay in control. However, when you are on it, you do need to consider your safety as well. This means avoiding steep inclines and always wear safety gear to protect you in case of an accident. One single full charge can give you about an hour and a half of ride time, depending on how fast you want to travel and what the terrain is like. For instance, if you travel 10 minutes to work, but have a lot of hills to travel over, you will drain out your battery faster than you would if you had a smooth sidewalk and no hills. Is The Motorized Unicycle Worth It? Some users do recommend that you pay close attention to the battery lights. 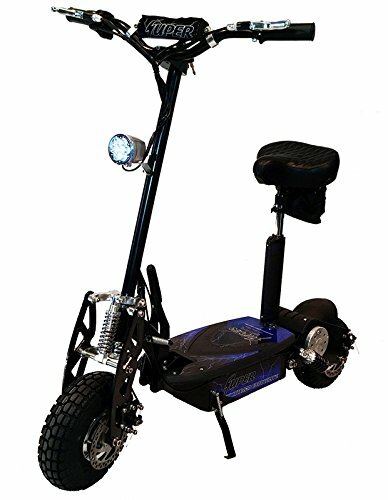 When the battery power dies, the motorized 1 wheel electric standing scooter may shut off without warning. If this happens to you, you could very well end up falling. Considering the fact that you need a sidewalk or a parking lot to use it, the fall will be painful for you, especially if you do not have on the proper safety gear. The good news is that even those who have been injured while riding it, still enjoy getting back onto it when they heal up.